A well-planned North East tour can make your holidays truly exceptional. Embark on a wonderful sojourn of a lifetime with exquisitely crafted Darjeeling Gangtok tour package. Spanning for over 5 nights / 6 days, the tour allows you to soak in the pristine beauty of the amazing tourist destinations. Trek to the Tiger Hill to marvel at stunning sunrise views. Stroll amidst the picturesque tea gardens. Add to this, the timeless beauty of the Tsomgo which will make you fall in love with the lake. 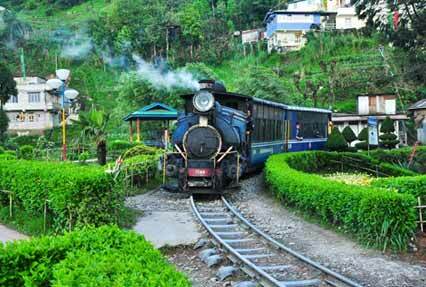 While on your honeymoon, do ride on the Darjeeling Himalayan Railway. Your Darjeeling and Gangtok tour includes all this and much more which will help you cherish memorable experiences. 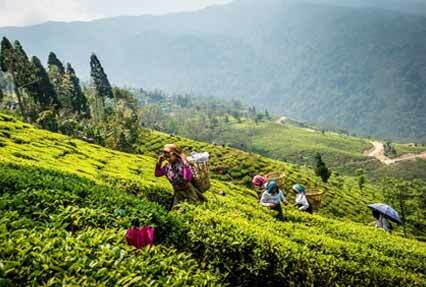 Your trip to Darjeeling starts from today. An IHPL representative will receive you at the New Jalpaiguri Railway Station/Bagdogra airport. From here, our representative will be assisting further in your journey to Darjeeling also called queen of the hills, which is around 68 km away. Located at an average height of 6700 ft, Darjeeling is a beautiful hill station that is famous for its scenic Himalayan trenches and sprawling tea estates. Here you also have the luxury of exploring its breathtaking beauty of the surroundings on the UNESCO acclaimed Darjeeling Himalayan Railway, which is famous as the toy train. After an hour and forty minutes, you would be entering the mesmerizing realms of Darjeeling town. Check in at the hotel, and relax for a while. Rest of the day would be free, so you can spend it at leisure or choose to walk out to the local market or a shopping mall. Overnight stay at the hotel. 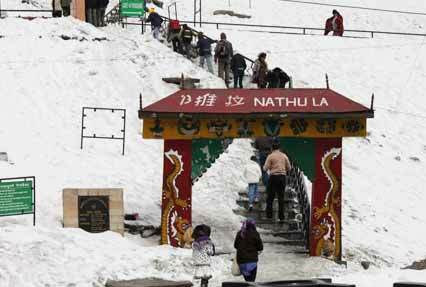 On 2nd day get ready for Darjeeling tour. Start your day fresh with a mountain trip to Tiger Hill. Being the highest point of Darjeeling, Tiger Hill offers some of the best sights of the Himalayas, which are apt to be visited early in the morning. Imagine yourself standing in front of the mighty Kanchenjunga peak, the snow clad peaks of which are turning golden due to the rising sun. This panoramic view is the best introduction of Tiger Hill. In order to catch this breathtaking sight, leave early from your hotel. The magnificent hill is around 11 km from the town of Darjeeling. As you climb down the hill, you would be embarking on a visit to the incredible Ghoom Monastery and Batasia Loop. 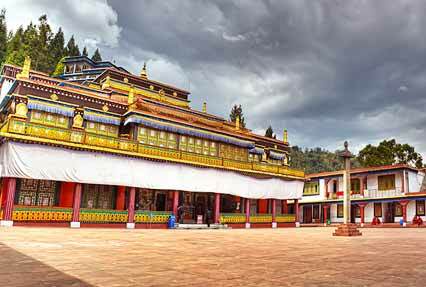 One of the oldest Tibetan Buddhist monasteries in Darjeeling, Ghoom Monastery is about 7 Km from the town and is famous for its huge statue of Lord Buddha. Post that, drive back to your hotel for a hearty breakfast. Rest of the day is scheduled for visiting major attractions inside the town which is the highlight of the Darjeeling itinerary. 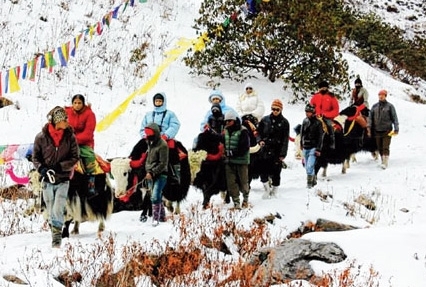 First on the list would be Himalayan Mountaineering Institute, followed by Lebong race course, Peace Pagoda, Tibetan Refugee Self Help Center, Tensing-Gumbo rock, ropeway and Parmesan Nadia Himalayan Zoological park, which houses the rare Snow leopard and Tibetan wolf. You also would be getting a chance to visit the lush green tea estates, which the town is so proud of. Sip on famous Darjeeling tea and revive your senses. As you would be done with all the sightseeing, head back to the comfort of your hotel for an overnight stay. On 3rd day, get transferred from Darjeeling to Gangtok. Post breakfast, make a check out from your hotel and head to Gangtok, a mystical hill station in the Himalayas of the North-East. Located in the eastern Himalayan range, Gangtok has an amazing blend of nature and religion. Amidst dense forests and Himalayan peaks, lies the quaint hill station of Gangtok, which is dotted with several colorful monasteries. Post that, a visit to the Research Institute of Tibetology, Directorate of Handicrafts and Handlooms, Chorten and Orchid sanctuary is scheduled in your Gangtok family tour package. By evening, you will be back in your hotel. Call it a day and spend the night at leisure. 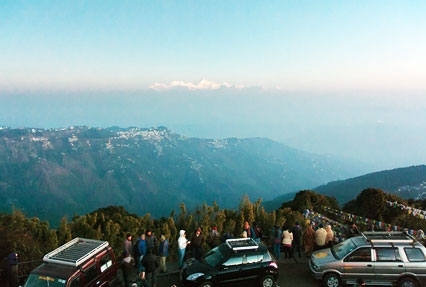 Your 6 day Darjeeling Gangtok tour package ends today. 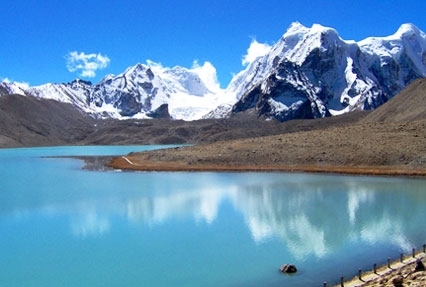 Pack your bags and post breakfast, check out from the hotel and Gangtok. You would be transferred to the New Jalpaiguri railway station/Bagdogra airport for your journey back home. All transfer & sightseeing by Non AC Tata Sumo with all India Tourist permit on point to point basis; Gangtok local sightseeing by Non Ac WagonR/ Similar.